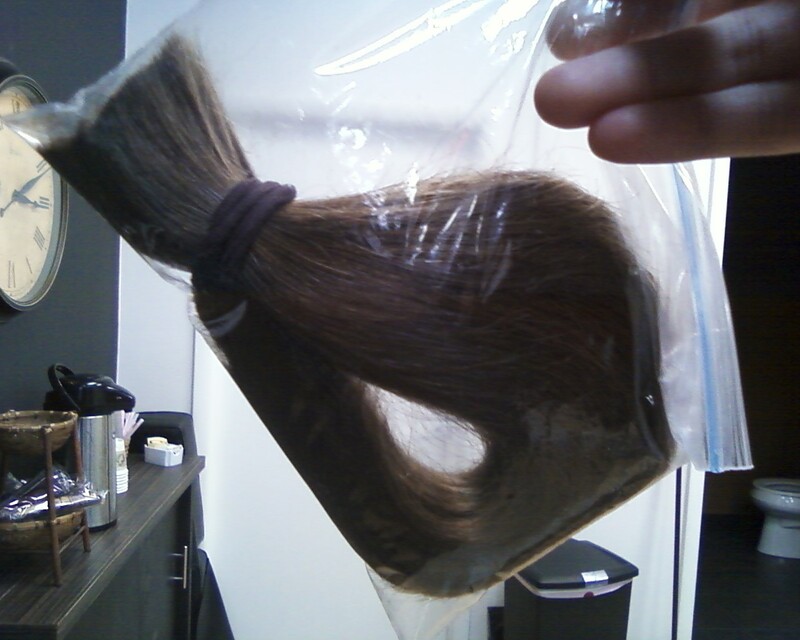 Today was my third “hair donation” in the past five years (January 2007, September 2008, January 2011). I donated 9.5 inches this time–the first time was 10 inches, and the second time was 9. It’s so strange to barely be able to get my hair into a ponytail after having such LONG hair for the past six months. But, I love doing this! 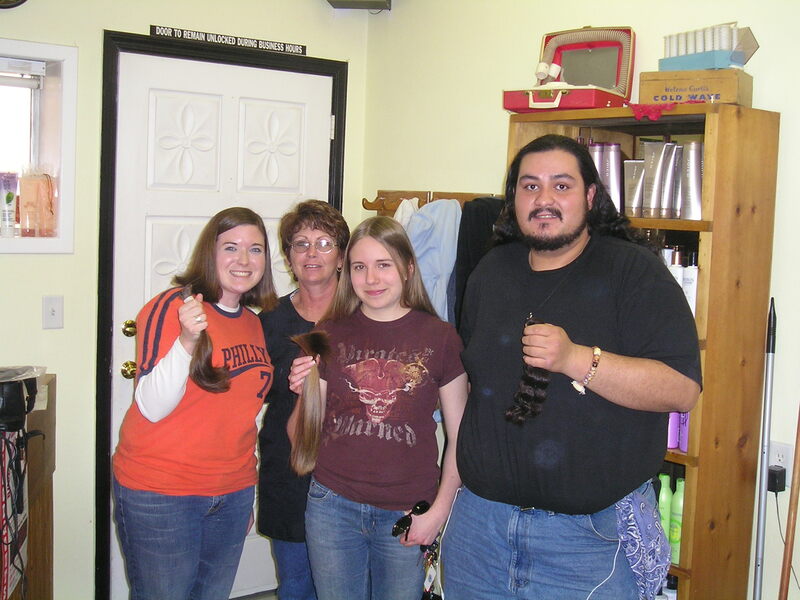 For the first donation (2007), my cousin Kristin and my friend Dannylle did it with me. We road-tripped up to NorCal for the weekend and donated our hair. The second time was two months after I moved to Pennsylvania…and I don’t have any pictures of that process because I did it impulsively one day (and should have waited a couple of months). 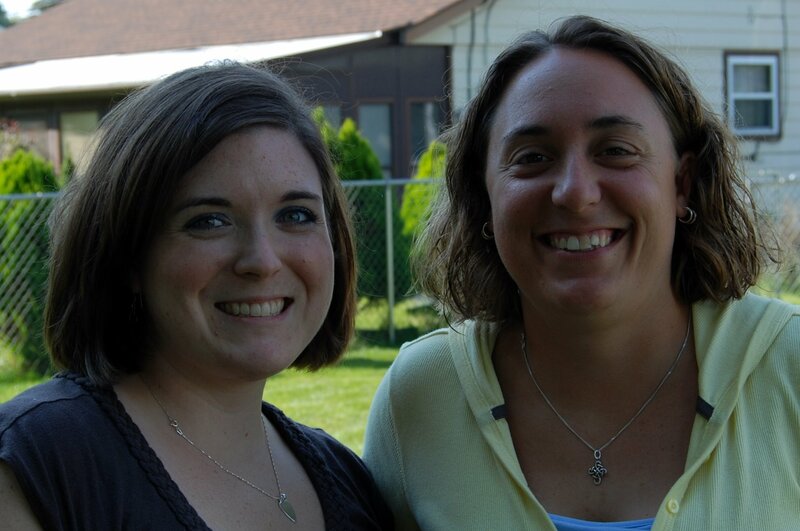 This was taken a couple of days afterward (with my former roommate). This time, I had hoped to wait until April so that it would be slightly longer, and slightly warmer outside. 🙂 But, I got to the point where it just “had to go”, and my wonderful friend was able to cut it for me today! Brennan and I have a cousin with cancer, and she just got her wig a little while ago…we saw her yesterday, and it renewed within me my desire to do this as long as I am able. It takes an average of six donated ponytails to make one wig. Where do you donate to, Lesa? Pantene’s Beautiful Lengths (the past two times).